It’s time for a new episode of Coffee Break French and this week we’re joining Monique who is replying to Sylvie’s latest email. Mark and Pierre-Benoît discuss a number of tricky grammar points and interesting areas of vocabulary, providing lots of examples along the way. 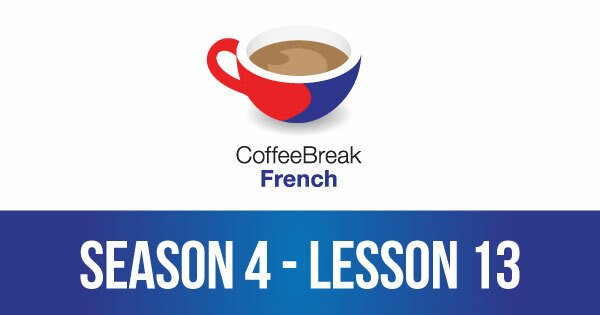 Please note that lesson 13 of Season 4 was originally known as lesson 413 of Coffee Break French. We have renumbered the lessons of each season as lessons 1-40 to make things more simple for our listeners.